Before the snow and ice of the winter season arrive, you need to take the necessary steps to get your car in order. There are fluids that you need to check to ensure that they are at the proper levels and electrical components that need to operate as they should, such as the battery and alternator. The tires of the car are very important in the winter, sometimes more important than other parts because they can help to keep you from sliding around if you’re driving on slick roads. There are a few tips to keep in mind before winter so that the tires are in good condition. An important feature of the tires is the tread. If your tires have been rotated regularly and properly inflated, then there will be even wearing on the exterior of them. This would mean that the tread should be even on each tire. If one or more tires has tread that is lower than the others, it is usually a sign that the car needs an alignment or that the tires need balanced. You need to get this taken care of as soon as possible before getting new tires put on the car for winter. Snow tires are an option as they have more tread than a traditional tire. 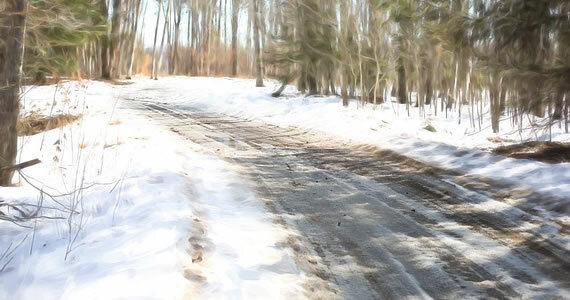 In the winter, the pressure in the tires will sometimes decrease because of the colder air. Check the tire pressure on a regular basis. If you see that one tire or more are losing air pressure at a faster rate than the other tires, then you need to see if there is anything stuck in the rubber. Keeping your tires inflated to the proper level will help to extend the life of them, and it can also keep you safe on the road. If you have tires with low pressure, then you risk sliding around more on the road. An option that you have if you live in an area that sees a lot of snow and ice is to put chains on the tires. The chains will provide the added traction needed while you’re driving. Some snow tires have chains already on them. Make sure you take the chains off when driving in normal weather conditions. A professional company like Evans Tire can usually add chains for you and check the other features as well. Your tires are an important part of the car. When winter arrives, there will be changes that you might notice. 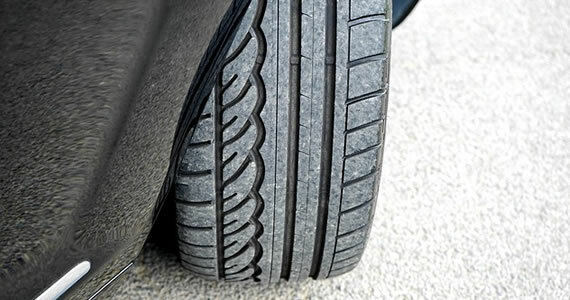 Check the pressure, tread and other aspects of the tires so that you’re safe while driving. The road can be a cruel mistress. Not only do you have to exercise caution and vigilant driving in order to avoid causing mishaps, but you also need to pay attention to other participants and their conduct while at the same time reassuring yourself that your vehicle is in top condition, ready and able to traverse any distance. Whether you are planning a road trip to the outback, or you’re heading to another city by car, you need to optimise your vehicle, run diagnostics and take it to your mechanic for a final check-up before it can truly be tarmac-ready. Here are seven essential tire hacks that might just end up saving your life. You might feel encouraged to pump as much air into your tires as possible, but that would be a rookie mistake that could spiral your vehicle out of control as soon as you hit a bump on the road. However, this doesn’t mean you should keep your tires underinflated either, as that might produce the same results. The key to maintaining tire longevity is finding the pressure balance that will allow you to drive safely. Use a tire pressure gauge at your local gas station to determine the pressure levels, and pump the air accordingly. More often than not, people don’t correlate their driving style with the quality and longevity of their tires. However, the way you drive has a major impact on the health of your tires, and the first thing you need to do is master the art of shifting. Shifting plays a key role in tire preservation, and rather than flooring the gas pedal in order to get the car moving, you want to alleviate any unnecessary pressure from the tires by gradually operating the acceleration process. Due to the constant wear and tear on the road, the entire chassis can become misaligned, thus causing the tires to become damaged and in need of replacement because of the uneven load. While you do want to avoid hitting potholes, bumps and sleeping policemen at high speeds, troubles with wheel alignment and tire positioning become inevitable over time. That is why it is crucial to research wheel and tire packages so you can replace your worn-out tires, but the research also helps you make sure that your mechanic has positioned and aligned your new parts perfectly in order for your car to be safe and in good shape. 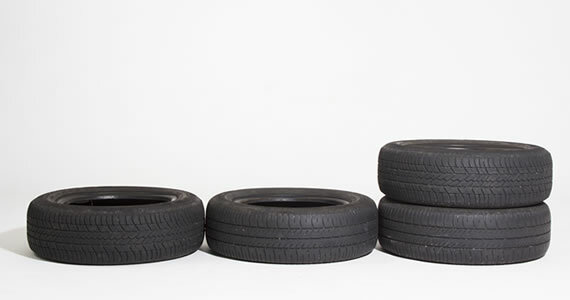 Replacing tires can be a pricey endeavour, but luckily, you will rarely have to replace all four tires at once. This gives you an excellent opportunity to rotate your rear tires to the front of the car, as you are most likely to change your front tires first, especially on a front-wheel drive vehicle. 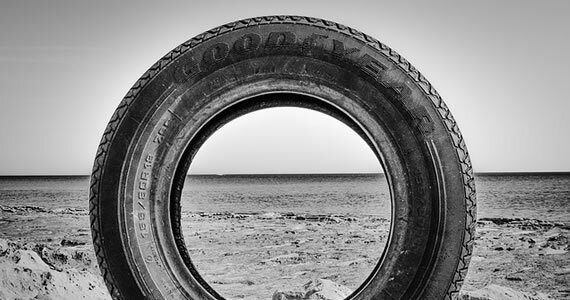 By rotating your tires, you will make substantial savings on tire replacement in the future. Before heading out on a prolonged road trip, you need to check the tread grooves of your tires for any foreign objects and inspect the area thoroughly in case of any damage. Sometimes objects such as rocks, metal and other materials found on the road can get caught inside the tire grooves and produce microscopic damage that will start spreading as soon as you hit the road, so make sure you avoid that risk and clean your tires thoroughly. Maximum vehicle weight refers to the maximum weight at which a vehicle is able to operate properly without risking damage or endangering the passengers. You should be able to find the maximum vehicle weight clearly stated in the owner’s manual. Excessive loads will put unnecessary pressure on the tires and cause substantial heat accumulation, which leads to the risk of damage and rupture. Keeping a spare tire in your trunk is a must, and having the necessary skill set to change a tire on your own is a modern-day necessity that could one day save your time. If you’re on a busy schedule and are having issues with your car, it would be best to consult mobile mechanic and book your effective car servicing. Ensuring a safe and enjoyable ride starts with the quality and state of your mechanical parts, so make sure you adhere to these seven essential tire hacks and you will be one step closer to the road trip of a lifetime. Peter is a car lovin’ writer at Blades Magazine. Beside writing he worked as a journalist for many publications in UK and AU. Follow Peter on Twitter for more tips. It’s inevitable. Cars break down. And when they do, it’s usually at the worst possible moment. While many breakdowns will require a tow truck and can only be repaired at a qualified shop, some can be remedied with a small repair on the roadside if you are equipped to do so. 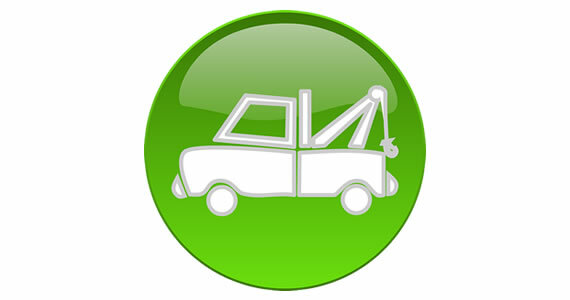 First, familiarize yourself with your vehicle before it breaks down. Know where the spare is, how to get the jack and tire iron out and how to use them. If you have wheel locks, know where the wheel lock key is. Changing a flat tire is one of the most fundamental repairs that one can do to get back rolling. Even if your vehicle has large oversized tires, replacing a flat tire with a spare can be done safely if precautions are taken. Make sure your vehicle is parked on flat level ground before getting the jack under it. When jacking the vehicle up, don’t lift it higher than you need to. You will have to lift it high enough to get the flat tire out, and the full spare under it. Going higher than that could make the vehicle shift and unstable. Make sure to tighten the lug nuts in a star pattern in order to get a consistent tightness on the wheel assembly. Some basic hand tools in a repair kit kept in the trunk of your vehicle may get you back on the road quickly so you can get your vehicle serviced on your schedule, not at the mercy of Murphy’s Law. Even quick roadside repairs are inevitably dirty, so it’s a good idea to have some gloves or other protective coverings on hand in the event your vehicle would break down. In your hand tools, a Leatherman or multi-tool is a great tool to have. Most of them have needle hose pliers, at least one knife blade, screwdrivers and other useful tools to get you back on the road. Some breakdowns are caused by something as simple as a loose connection, clamp or fitting. By identifying the problem and using some hand tools to tighten the offending part, you could remedy the problem yourself with the spin of one tool. Sometimes it’s best to recognize when you are in over your head and call a tow company. Some services will bring you fuel or do minor fixes, and others will come to your location nearly regardless of conditions outside. For getting your 4×4 out of that gutter, consider a company like Mike’s Auto and Towing that specializes in difficult recoveries. For those old enough to remember MacGyver, he had a fix for everything—and most of it involved duct tape. There’s a good reason for that. It’s durable, flexible, and under the right conditions, can make a near water-tight seal. A blown radiator hose once cleaned up a bit and allowed to cool can be fixed temporarily with a couple rounds of duct tape just to get you to a shop for a permanent repair. If the hose is broken close to the clamp, it may be possible to remove the clamp, cut off the damaged portion and put the hose back on with the clamp moved further up the hose. This only works if there hose has enough length. Again, this is a temporary fix. Sometimes, the repair is just too much to do on the side of the road. Times like these, sometimes the best tool to have in your toolbox is a cell phone and the number to a reputable towing service.